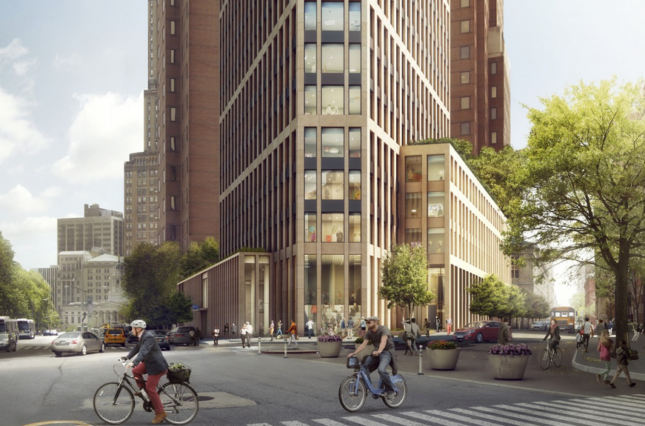 Subpoenas have been sent to multiple developers that bid on a project to redevelop the Brooklyn Public Library (BPL)’s Brooklyn Heights branch after real estate developer Hudson Companies Inc. won the project with a $52 million offer. Their bid, selected by the library with the help of the city’s Economic Development Corporation, was not the highest nor did it offer to build the largest amount of affordable housing. 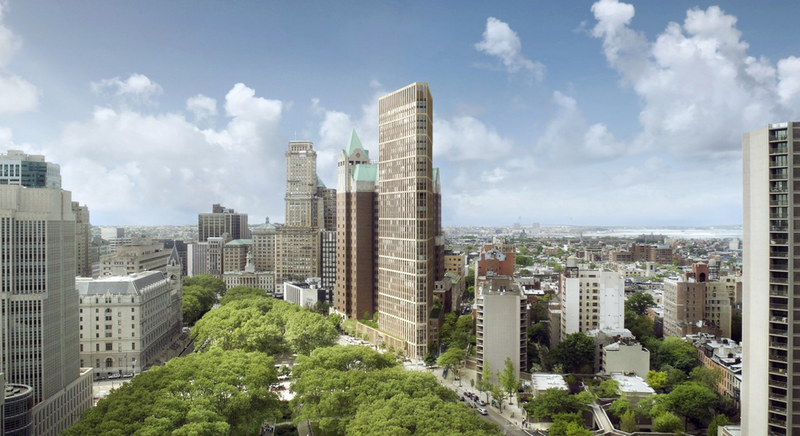 Hudson Companies’ plans to redevelop the BPL’s Brooklyn Heights branch on Clinton Street would include a 30-story skyscraper with 114 units of off-site affordable housing, according to an online article by the New York Post. A new, 21,500-square-foot library would be located at the base of the triangular-shaped building. The Hudson Companies’ bid, in addition to not being the highest, also did not offer the largest amount of affordable housing. For example, one bid from Second Development Services offered $6 million more than Hudson and also included three more affordable housing (117 to Hudson Companies’ 114). Allegations have been made that the bidding process was rigged to benefit the winners: both Hudson and Marvel Architects, the design firm for the project, contributed money to the Campaign for One New York shortly after de Blasio was sworn in as mayor. The charity, which promoted the mayor’s agenda, also received two $25,000 donations from Toll Brothers. 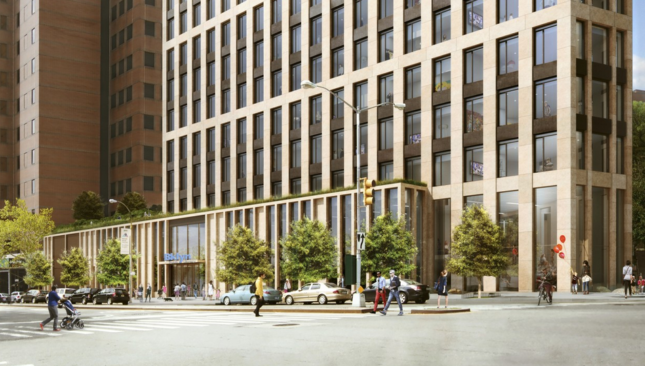 The Post also reports that Hudson Companies President David Kramer was also known to say that Hudson was going to win the Brooklyn Heights project, no matter what. A spokesman for de Blasio has denied that the bidding process was unfair. US Attorney Preet Bharara and Manhattan District Attorney Cyrus Vance are conducting the investigation. The Post article states that Kramer has not yet received a subpoena.